While we may not be fans of the 'crossover' label, there's no denying their appeal. Combining practicality, style and low running costs - they've become the family car of choice for many. 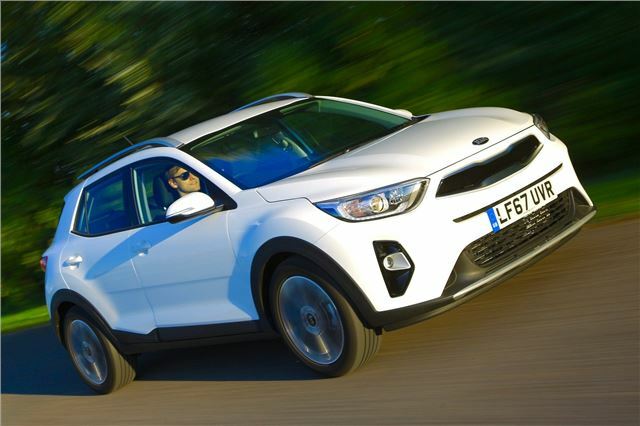 The stodgy Kia Stonic isn't the most desirable car on the market but, with an affordable price tag and a seven-year warranty, it's a difficult one to ignore. Our budget will only get you the entry-level 1 trim, but that's fairly well equipped - with Apple CarPlay and Android Auto, 17-inch alloy wheels and rear parking sensors as standard. You'll be able to upgrade to the 1.0-litre turbocharged petrol engine and still have some change left over for a treat from the options list, too.